An Uber driver who drove to Buckingham Palace armed with a samurai sword and shouted "Allahu Akbar" before being disarmed in a struggle with police officers has walked free after being found not guilty of a terrorist charge. An Uber driver has been found not guilty of a terror charge by jurors at the UK's Old Bailey central criminal court in London after police caught him with a 42-inch Samurai sword outside Buckingham Palace in August, 2017. Queen Elizabeth put an untimely end to one of Britain's most niche traditions after she spent the past five weeks at her residence in Barmoral. Coldstream Guards soldier Charanpreet Singh Lall wore the traditional Sikh head covering at the Queen’s 92nd birthday ceremony in June 2018. The Metropolitan police arrested a driver near the Buckingham Palace on Monday on suspicion of a public order offense, a Scotland Yard spokesman said. The Metropolitan Police reported that it had arrested a woman, who was trying to climb the front gates of the Buckingham Palace. A suspected terrorist in London ended up at a pub instead of Windsor Castle due to problems with his car's navigation system. 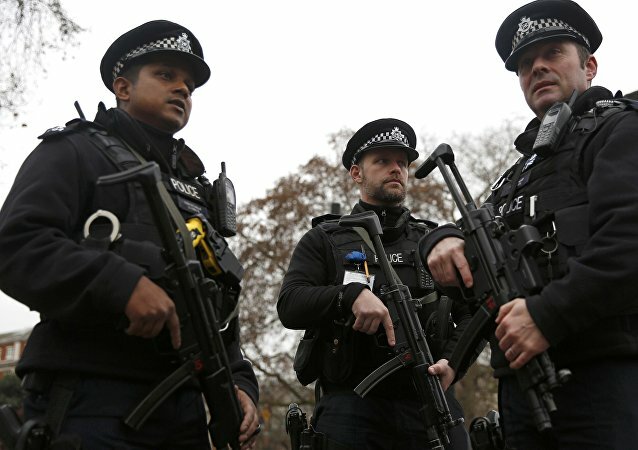 The London Metropolitan Police said that a terrorism investigation has been opened into a man who was caught near Buckingham Palace in possession of a large knife. It has been revealed that the Queen was once nearly shot while on a late-night stroll in the grounds of Buckingham Palace, by a guardsman who mistook her for an intruder. A 17-second video depicting young Queen Elizabeth II performing a Nazi salute has prompted a fierce debate among experts and the public. What other disturbing facts have the Allies swept under the carpet? Shocking footage has been released showing two British soldiers - including one Buckingham Palace guard - brutally knocking one man unconscious and repeatedly pummelling another after a night of heavy drinking. Believe it or not: a man in his birthday suit (but for the left sock) hurried to escape from the Royal residence using bedsheets tied together. Just like in romantic novels. UK Green leader outlines the party's election manifesto ahead of this year's general election, which includes abolishing the monarchy and building more council housing.